As you can see, Thor Motor Coach designed the Miramar with a Rotocast storage compartments to keep all of your RVing gear in (this includes the basketball or volleyball you bring along to play with at your favorite campground!). It also provides electric entry steps (if you’ve had manual steps before, you know that this is a great feature; no more leaning over and pulling out those steps!). Not only does the interior have everything you need, but it may just have everything you want, as well! 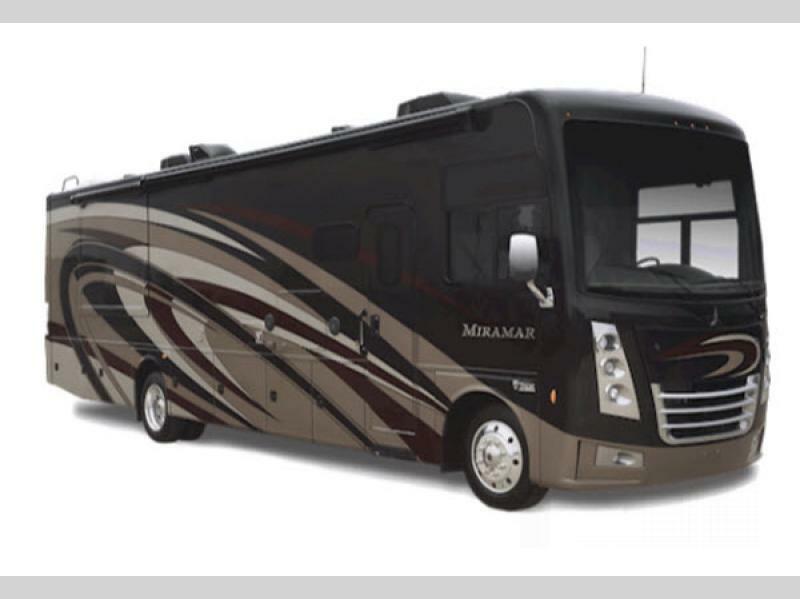 As Class A motorhomes are always designed with luxury in mind, the Miramar does not disappoint. You’ll be able to settle down at the Leatherette Dream Dinette® Booth (with cup holders) for an evening meal. This dinette gives you enough space for the family to relax and enjoy your favorite camping dinners. Wash your dishes in the stainless steel double bowl sink and single handle faucet with pull-down sprayer, and then cozy up around the electric fireplace (with remote control) to end the perfect RV evening. Thor Motor Coach Miramar Class A Motorhomes for sale is meant to increase your comfort to the full with all of its gorgeously designed amenities. The Miramar floorplans come with everything you need to enjoy all aspects of RVing outdoors, while you camp indoors. To learn more about these beautiful and innovative recreational vehicles, contact us today!